Do you need a one stop solution for all your recharge needs? If so then you have a solution – Mobikwik. 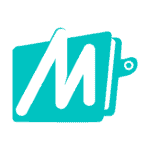 Through Mobikwik you can easily do your bsnl online recharge or easy recharge. The Mobikwik wallet is actually powered by Zaakpay.